How do you think about what moments to show in a story? How does viewing angle, gesture, and composition contribute to the emotions conveyed in the images? 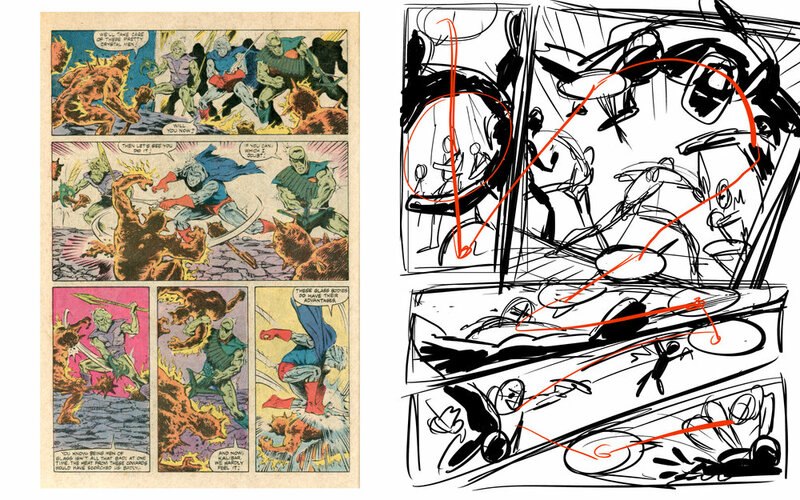 Join Jerzy and Rob for a demonstration of one of Jerzy’s classroom activities that explores moment choices in comics. The page Jerzy used for th e exercise in this episode, and the resulting page reimagining.